Who We Are-orig - POSITIVE BEHAVIOR SUPPORT CONSULTING & Psychological Resources, P.C. Dr. Magito McLaughlin is the founder and President of PBS Consulting. She is a NYS licensed Clinical Psychologist and a NYS licensed Behavior Analyst who has worked in the field of developmental disabilities for over 30 years. She received a Master’s Degree in Applied Psychology from Adelphi University and a Doctorate in Clinical Psychology from Stony Brook University under the mentorship of Dr. Ted Carr. 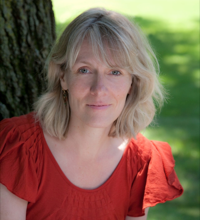 Dr. Magito McLaughlin's research and clinical interests include functional communication, person centered planning, setting events, broad systems change, and longitudinal intervention approaches. She has co-authored a number of publications including several book chapters and empirical papers, and has spoken nationally and internationally on behavioral support issues. Dr. Magito McLaughlin has also served as an Adjunct Professor at Dowling and Farmingdale Colleges. Dr. Anderson Ryan is the co-founder of PBS Consulting. She has worked as a Behavior Specialist and Consultant at various agencies in Illinois and New York State for over 25 years. She received her doctorate in clinical psychology at Stony Brook University under the mentorship of Dr. Ted Carr. Dr. Anderson Ryan’s research and clinical interests include friendship development and social inclusion, positive behavior support, person centered planning, and broad lifestyle change. She has co-authored several publications, including a research monograph synthesizing ten years of literature on positive behavior support. Dr. Anderson Ryan presently resides in Michigan and serves as an advisor to the PBS leadership team. Dr. Smith is the Director of Professional Development at PBS Consulting. 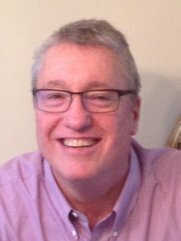 He is a NYS licensed Clinical Psychologist and a NYS licensed Behavior Analyst who has been working with children and adults with autism spectrum and behavior disorders for more than 25 years. He has been with PBS since 2005. Dr. Smith received his Doctorate in Clinical Psychology from Stony Brook University under the mentorship of Dr. Ted Carr. He is a co-author of the book, Communication-Based Intervention for Problem Behavior (1994). His research and clinical interests include assessment and intervention for challenging behavior, social skills interventions, and transition planning. Dr. Smith currently serves as an Adjunct Assistant Professor in the Department of Psychology at LIU Post. Ms. Giacobbe-Grieco is the North Shore Regional Director of Transition Services at PBS Consulting. She received her Masters Degree in Psychology and a Certificate in Applied Behavior Analysis from Long Island University. She spent 20 years of her career at the Developmental Disabilities Institute where she was the Associate Director of Residential/Community Services and has been with PBS since 2004. 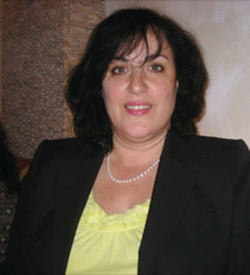 Ms. Giacobbe-Grieco is a past president of The New York State Association for Behavior Analysis (NYSABA), a co-author of several publications, and has presented at many local and national conferences. She is active in the self direction movement and is the current Board Chair of the PBS Community Foundation. 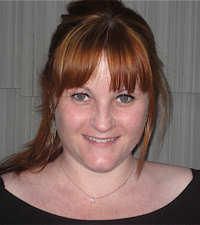 Ms. O’Halloran is the Director of School Age Services at PBS Consulting. She is a NYS licensed Behavior Analyst and a NYS certified general education and special education teacher. She received both a Master’s Degree in Clinical Behavioral Applications and a Master’s Degree in Teaching from Queens College. Ms. O’Halloran has worked in the field for over 20 years. She been with PBS since 2007. Her clinical interests include successful inclusion of students with developmental disabilities, and effective training for teachers, assistants, and aides. 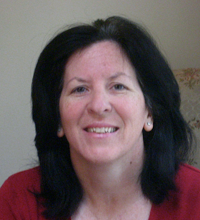 Ms. O’Halloran has presented numerous workshops and trainings at teacher centers in the New York area and has served as an Adjunct Professor at Touro College. Mr. Sanborn is the Western Regional Director of Transition Services at PBS Consulting. 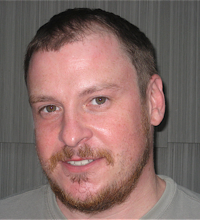 He is a NYS licensed Behavior Analyst and received his Master’s Degree in Psychology from Adelphi University. Mr. Sanborn has over 20 years of experience providing services for individuals with special needs on Long Island, and has worked as an administrator, behavior specialist, job coach, and direct support staff. He has been with PBS since 2003 and his special interests include person-centered planning and designing individualized programs in the community to enhance social and vocational experiences. 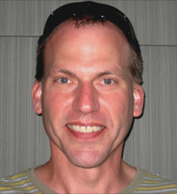 Mr. Sanborn currently serves as an Adjunct Assistant Professor in the Department of Special Education at Queen’s College. 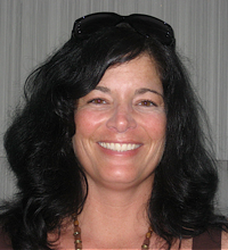 Ms. Tomanelli is the South Shore Regional Director of Transition Services at PBS Consulting. She received her Master’s Degree in School Counseling, and a Certificate in Applied Behavior Analysis from Long Island University. She has worked in the field over 25 years and has been with PBS since 2006. Ms. Tomanelli’s clinical interests include family supports, person centered planning, and transition planning for high school students with highly challenging needs.